Patients and their companion/s will be directed to the Department of Emergency Medicine (DEM) located at G/F Main Building for thorough medical evaluation. Upon the request of a DEM admitting physician, they will be instructed to proceed to the Admitting Office to coordinate the process of admission in detail. For scheduled admission, patients and their companion/s are directed to the Admitting Section located at 2/F Main Building. Patients and/or their companion/s will be asked to accomplish the Patient Data Sheet containing pertinent patient medical information. Patients must provide complete and truthful information about their health as these will be used as basis for medical assessment and treatment. All patients are given identification tags indicating full name, date of birth, patient identification number, and the name of the attending physician. The identification tag must be worn throughout the duration of hospital stay. An initial deposit may be required before admission at Manila Doctors Hospital. For non-emergency cases, an initial payment/admission fee is required according to the prescribed schedule of fees. Company or HMO-sponsored accounts may no longer be required to pay the deposit depending on what is indicated in the Letter of Guarantee or Letter of Authorization (LOA) presented. To contact an admission representative, call (02) 558 0888 locals 3410, 3411 and 3412. 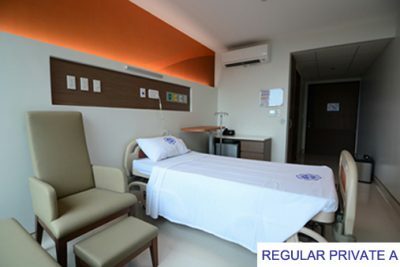 To assist patients in selection of rooms, our admitting staff will be providing a Room Rate Matrix indicating the cost and amenities included in each room type. For special cases, the attending physician may require the patient to be admitted in a particular unit for thorough medical care. For scheduled admission, patients may request to be lined up in advance. Requested room can only be confirmed to on the day of admission. The room shall only be held up to two (2) hours beyond scheduled time of arrival. Failure to arrive on the scheduled time will forfeit the reservation and the slot shall be given to other waiting patients. Furthermore, the hospital reserves the right to cancel room line-up to give priority to emergency and critical care patients. For further inquiries regarding accommodations, call the Admitting Office at (02) 558 0888 locals 3410, 3411 and 3412. Please refer below for the list of Manila Doctors Hospital-accredited HMOs. Prior to admission, coordinate with respective HMO for the Letter of Guarantee or Letter of Authorization (LOA) and additional documentation requirements to avoid delays. PhilHealth members may enjoy deductions on their hospital bills provided that they submit duly accomplished, signed and supported PhilHealth eligibility and claim forms at the time of discharge. Kindly submit documents to PhilHealth Office located at G/F PhilHealth Section. For inquiries regarding benefits and claim requirements, please visit PhilHealth Help Desk Office located at 2/F Main Building. Discharge process will commence upon the request of an attending physician. Proceed to the Billing Section located at G/F Main Building to apply for discount privileges and to review statement of account before payment. All bills must be settled only at the Cashier. To give consideration to incoming patients, discharged patients are given two (2) hour allowance to prepare for departure. Manila Doctors Hospital accepts cash or credit cards for payments. Personal checks may be accepted only for initial payment or admission fee. Prior to admission, a Letter of Guarantee or Letter of Authorization (LOA) must be secured by the patient from respective companies and accredited HMOs to avoid initial payments. Any amount in excess of the maximum coverage limit shall be paid by the patient prior to discharge from the hospital. PhilHealth assistance is deducted from the final hospital bill of the patient provided that necessary documents are completed and fully accomplished before discharge. Amount beyond what is covered by PhilHealth assistance will be paid by the patient. Proceed to PhilHealth Office located at G/F PhilHealth Section for submission of requirements. In compliance with government regulations, senior citizens and PWDs are granted VAT exemption and discount on health services. However, this discount may not be applicable to some promos and packages. Kindly submit duly accomplished, signed and supported documents to the Billing Section located at G/F Main Building before discharge to determine discounts. 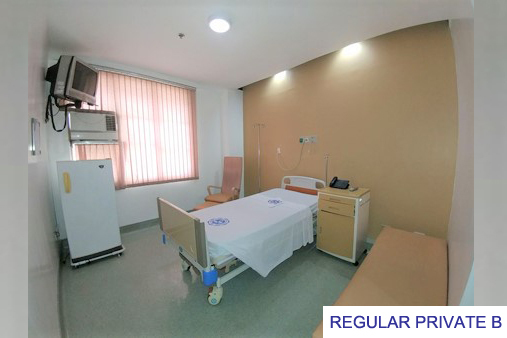 Manila Doctors Hospital strengthens patients’ confidence by fair, credible and effective mechanisms to address their concerns, thus encouraging them to take an active role in improving and assuring their health through the following. To be informed (in the language known to them) about their diagnosis, treatment, and expected result as provided by the attending physician. To be informed of the planned course of treatment, including an explanation about procedures, its risks, benefits, alternative treatment, and pain management; freedom from the use of seclusion or restraints in any form unless clinically It is required. It is the patient’s responsibility to ask questions whenever he/she is not sure of the information or instructions given. To receive considerate, respectful, and compassionate care regardless of age, race, gender, religion, national origin, sexual orientation, or physical or mental capacity. It is the patient’s responsibility to provide complete and truthful information about his/her health including past illnesses, hospital stays, surgeries, allergies and use of medicines / other forms of treatment. To receive adequate information about the illness, proposed treatment and care providers in order to make sound decisions. The patient will not be subjected to any procedure without his/her informed consent. The Hospital respects the right of the patient to decide for his care to the extent permitted by law and hospital policy. The patient has the right to name the person who will make the decisions in his behalf in case the patient becomes incompetent. To know the names of the doctors, nurses, and other health team members directly involved in patient care and the right to select the physician for any procedure. The doctor-of-choice, however, has the prerogative to refuse or accept the case for any reason whatsoever. To make decisions about his/her plan of care before and during treatment, when medically possible. Patients have the right to refuse a recommended treatment to the extent permitted by law, and to be informed of the medical consequences of his/her refusal. It is the patient’s responsibility to be involved in the decision-making regarding his/her healthcare, to inform the healthcare provider and the healthcare team if he/she may have any problems adhering to the plan of care as agreed upon. In accordance with the law, all communications and records pertaining to patient care will be treated as confidential. Respect of this right extends to all who have legitimate access to the patient’s information. To refuse medical treatment or procedures which may be contrary to his/her religious beliefs. If asked to participate in a research study related to the patient’s illness, patient can decline to participate in or withdraw from any study at any time. Patient’s refusal to participate will not affect his/her hospital care. Patient may review or obtain a copy of his/her medical record with the consent of the physician according to hospital policy, and to have the information explained as needed by a physician. To receive visitors subject to reasonable limits according to the rulesregulations and policies of the hospital. Patients may get assistance from the Customer Relations Service Department in resolving complaints or grievances regarding the treatment they received. Complaints may be forwarded to the said department for proper handling. It is the patient’s responsibility to abide by the hospital rules and regulations affecting patient care, safety and conduct and to promptly pay bills related to his/her care according to the hospital policies. The patient has the right to leave the healthcare facility regardless of his/her physical condition of financial condition or financial status, although the patient has a responsibility to sign a release stating that he/she is leaving against the medical judgment of his/her doctors and the hospital. A patient is expected to be considerate of the rights of other patients, staff and the hospital including those pertaining to noise control, smoking and visitors. By choosing to be confined at MDH, the patient has exercised the right to accept that the attending physician is not an agent or representative of MDH and exercises his profession independent of any control or supervision of MDH. For a secured and safe stay at the Manila Doctors Hospital, we are reminding patients and visitors to observe the following guidelines. Please bring with you clothes necessary for check-out only. All medications for admitted patients shall be ordered from the hospital pharmacy to ensure medication safety. Patients with discharge order must settle their accounts before 12 noon to avoid additional charges(50% surcharge before 6:00 PM and full day room fee for discharges after 6:00 PM). MDH actively supports and promotes breastfeeding as unequalled method of providing nutrition, immunoprotection and care to infants, with short and long-term benefits to both mothers and babies. Breastfeeding support and education will be provided to the mothers so that they can make informed decisions about baby feeding and care. Bringing of personal nebulizers and other personal medical services is not allowed in the hospital. Use of chargers for laptops and other electronic gadgets shall be registered at the Nurses’ Station and will be charged accordingly. For safekeeping, you may deposit your cash and other valuables in the hospital vault located at the Cashier. MDH is a smoke-free zone. Alcoholic beverages are also not allowed within the premises of the hospital. Bringing of firearms and weapons is strictly prohibited within the Hospital. Firearms and weapons shall be deposited for safekeeping with the Security Staff at the lobby entrance in exchange of firearms report. Visitors are requested to enter the main lobby from 6:00 AM to 9:00 PM. 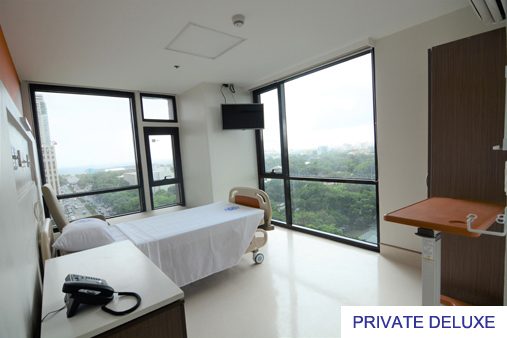 For patients admitted in a private room, two companions are allowed to visit at a time while one (1) companion for semi-private rooms. We have taken everything into consideration in order to bring you everything for your convenience. Visit these shops located at G/F DSMT retail area. In line with Manila Doctors’ holistic healing approach, pastoral Care and Education are offered to patients and their families to address their spiritual and emotional needs. The hospital chapel is located at the 8th floor, DSMT 1 building to provide spiritual refuge to everyone.